We live in Fort Lauderdale, Florida and are wondering if there are any good deals ever offered to travel to Hilo or Kona from here. We could travel out of MIA, FLL OR PBI. 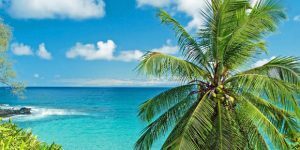 With good connection, in off-season, prices to KOA from FLL or MIA start about $700. Up to $100 less with horribly long (20+ hour) connections. Hilo is always more money. Hi looking for RT tickets for 2 aldults to Honolulu from Atlanta Ga, or Charlotte NC, or Greenville SC. Want to go August 12-19 2018. Do you have any flights out of these airports? my husband and I are looking for air and hotel for Ohau March8-15 2019. Any infor/help would be greatly appreciated. Feel free to subscribe to our updates. 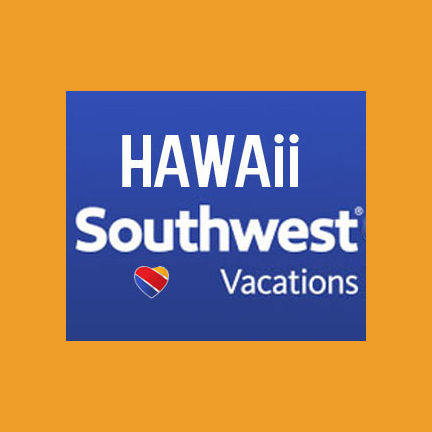 Moreover best info is probably here: https://beatofhawaii.com/the-cheapest-time-to-fly-to-hawaii/. We don’t know exactly when spring break will hit, but you might be in the midst of it, which could make it expensive. Scored a pair of tickets to Kona. I want to fly Kona to Los Angeles in August 23-28. When would be the best time to buy tickets? Hi, we’re looking to travel from Oakland, Ca to Honolulu Mid Octorber to early Nov this year, can you please advice when it’s best to book for flights? Thank you for your help! 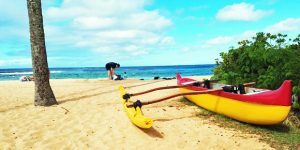 That’s what this post is all about: https://beatofhawaii.com/the-cheapest-time-to-fly-to-hawaii/. Probably will work best from late spring to mid summer. Hi! We are planning a trip from Phoenix to Maui 9/17/18-9/24/18, when would be the best time to book flights to get the best prices? $442 on United one-stop or $580 on Alaska nonstop. Might improve, however you are flying Saturdays, so it may not. Check your emails daily, however nothing is ever from the Salt Lake City area to HNL. Looking for a good fare. May husband and I have plans to travel to Maui inJune of 2019, we live in Central Texas, is there any deals flights from Texas? Is the date to far off to book? No there will not be any deals. Traveling in June means high season, and you will do best to plan to buy 11 months in advance. That goes for airfare, accommodations and car. From 2nd week of June on, it is peak season and Hawaii easily gets oversold. So flying from Texas (Austin area)will we have to fly to CA then catch a flight to Hawaii, or is there any flights from Texas? Hi Debbie. Technically possible in the future with the new longer range narrow body aircraft. Pretty anxious about flights out of N. CA. Planning to go 7/5-7/13 and can’t seem to find anything less than $650-$830 RT!?!? Willing to go out of any reasonably priced airport as long as it is a nonstop flight. Went in June 2016 and paid $438 RT. Can I have your opinion on buying now or waiting, please? Mahalo! You didn’t indicate where you are going. 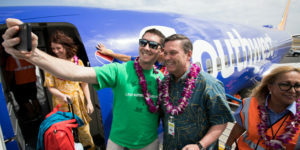 Checking Maui $418 RT, Honolulu $496 RT on United for your dates. Those are great deals, too bad I can’t get off work on that short of notice. 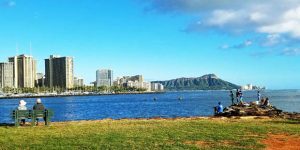 When was the last time you saw Business Class fares this low to Hawaii? Now you have subscribe to his news letter to get the facts, perhaps it’s tied in with your discount deal. do you know anything or any Beat of Hawaii reader know about this and want to share? We rarely cover premium inasmuch as it isn’t what most of our visitors seek. Those fares you mentioned are very limited in dates, not in best cabins, and most required stopovers. We are going to be in Maui April 3rd-18th. We have family on kawaii and we’re wonder what inner island would run us if we wanted to head over there on the back end? Plan on flights costing $200 rt (it’s time of day/day of week dependent). Plus car and accommodations. Early April will be very busy everywhere, so might want to start checking and booking, especially if towards your arrival dates. Are there ever these kind of deals departing from Anchorage, AK? No they are not. Limited market. Typically starting at $500 RT and best might be $400. We are going to Kauai in June to scout for a place to rent and are not able to take advantage of the low rates. We may be able to use the low rates later when we move there from Seattle. Love, love, LOVE Beat of Hawai’i! I am moving back to Hawai’i and saw in today’s email that I could fly Alaska Airlines for $99, jumped on it, and got me a ticket! You guys ROCK!! Glad it worked out and thanks for letting us know. I cannot find any of those flights/prices. Don’t usually take mini-vacations mid week, but this deal was too good to pass up. SFO | OGG early MAY for $197…. just count not beat that. We concur. If we weren’t already booked this deal is too good to pass up. Glad it worked out. Hi, when it says Maui $99 with April dates and a May 1st date the flight must be used by that date? We indicated those are the available departure dates. There are quite a few return dates and those vary by route. If you indicate which route, we’ll be glad to give you those. I am looking for flight dates leaving in September. Maybe October. Then these definitely won’t work for you. This is just April/May travel. Travel after peak of summer will have many more deals ahead – we won’t really start to see those for at least another month or two. The $146 each way sounds great, as long as you don’t mind 2 stops and even with that the lowest I saw was $426 ($213 each way) so its a low price…but the pain of dealing with multiple stops would have me willing to spend a bit more.